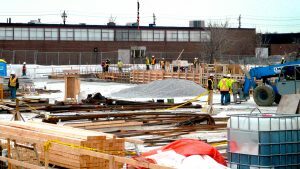 Ontario’s construction sector is expected to continue to experience strong growth over the next decade, with the Greater Toronto Area (GTA) and southwestern Ontario leading the way, though growing skilled labour shortages will present a big challenge to the sector throughout that period, reports a new labour market forecast released by BuildForce Canada. Growth in Ontario’s construction economy is expected to reach a plateau in 2020, and new homebuilding will experience a moderate slump, but continued spending on major nuclear refurbishment, public transit and other infrastructure projects will help keep momentum going in upcoming years, indicates the national BuildForce paper, titled the 2019–2028 Construction and Maintenance Looking Forward. Ontario was one province where the growth and demand statistics were a surprise, said Bill Ferreira, executive director of BuildForce Canada. 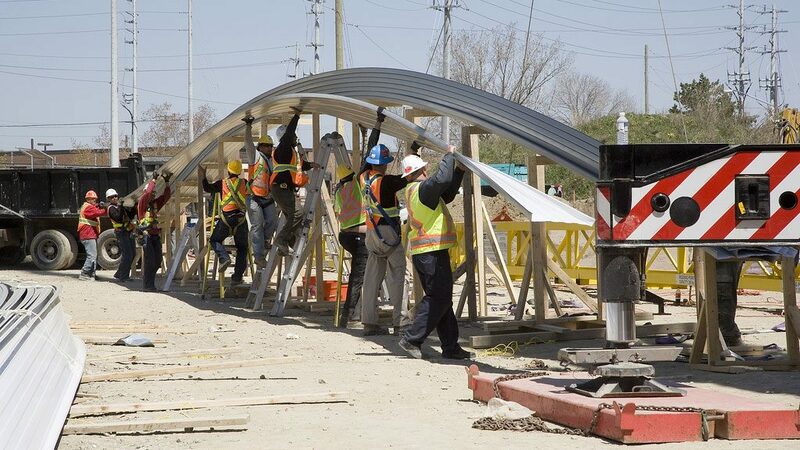 The report states the construction and maintenance industry will need to recruit and retain almost 103,900 new workers over the coming decade, as 91,100 workers are expected to retire — 21.5 per cent of Ontario’s current construction labour force. That need for new workers to replace retirees is imminent and pressing, not some future concern, said Ferreira. “We are now getting to the point where the retirement bubble we have been anticipating is finally starting to hit,” he said. The generally slower pace in demand for new homes will be tempered by high levels of demand for apartment and condo units in urban centres caused by immigration, said BuildForce. Non-residential construction in the province will see continued strength, with investment expected to peak in 2020 and then moderate for three years. Spending on public transit, roads, highways and bridges, utilities (including nuclear refurbishment) and industrial projects will spur continued demand for workers in that period. Overall, non-residential employment is anticipated to rise by 14,000 jobs, or eight per cent, over the next four years. Regionally, demand in the southwest will be stoked by nuclear refurbishment, the Gordie Howe International Bridge and construction of industrial buildings, with an increase in construction employment of 18 per cent expected over three years. At the same time, the GTA will require an additional 5,300 workers to meet peak demands for the Eglinton LRT, the Darlington nuclear refurbishment and other major public transportation and infrastructure projects. Demand for workers in eastern Ontario will be spurred by new hospital projects, upgrades to the Canadian Nuclear Laboratories’ Chalk River facilities and phase two of Ottawa’s LRT project. Labour demand will also be positive in central and northern Ontario over the next 10 years with the exception of a three-year dip in the north starting in 2022, BuildForce forecasts. Future demand for construction managers is a general cause for concern, Ferreira noted. The report suggests the industry can potentially draw 77,800 new entrants aged 30 and younger from the local population, but a projected gap of an additional 26,100 workers will need to be met from outside the province’s typical construction labour force. 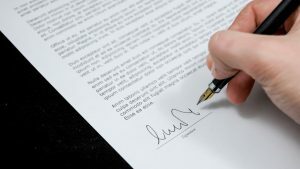 That means workers will have to come from other sectors or from outside the province, Ferreira said. As for underrepresented groups, Ferreira said Ontario stakeholders are fully focused on recruitment from those sources, with women and Indigenous Canadians having the most potential, given the relative success Ontario employers are already having hiring new Canadians. “The lowest hanging fruit is increasing the share of women in the workforce, right now it’s 3.8 per cent onsite nationally,” he said, noting the figure in Ontario is 3.9 per cent of onsite workers. Ferreira said growth projections reflect current economic and political realities and do not include alternative scenarios such as possible future changes in government or government policy shifts. Similarly, the effects of new technology, increased automation or green building demands are only taken into account if there is verifiable data. But, he said, it is known there will be increased demand for retrofitting of existing buildings and that is factored into labour demand.